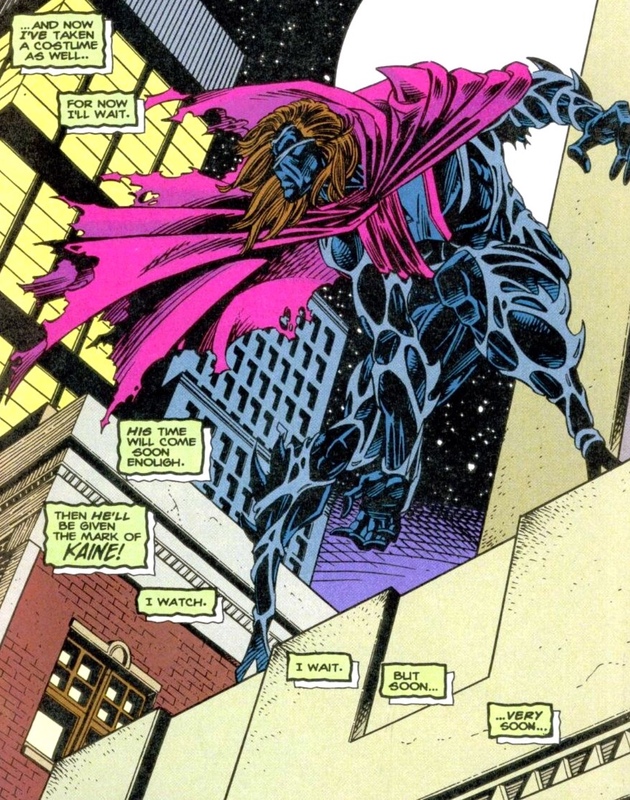 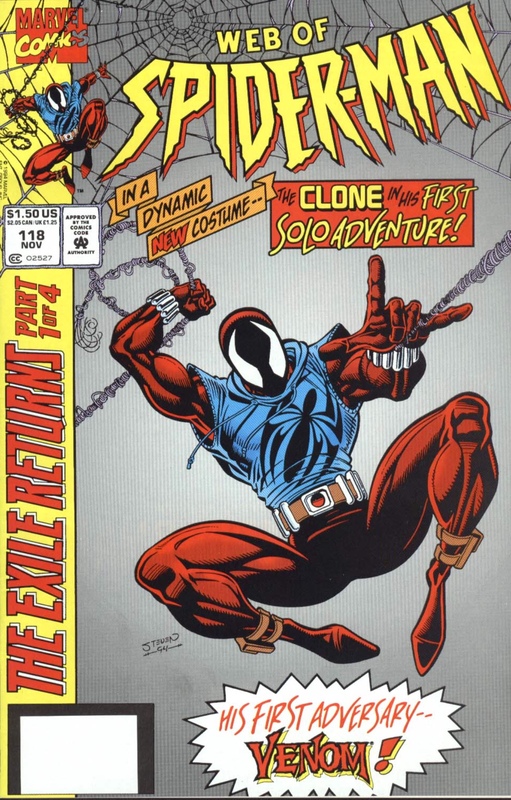 So Ben sets out to fight history’s greatest monster in Venom, and in doing so, we get the first appearance of two really cool weapons that became tokens of the Scarlet Spider’s arsenal. 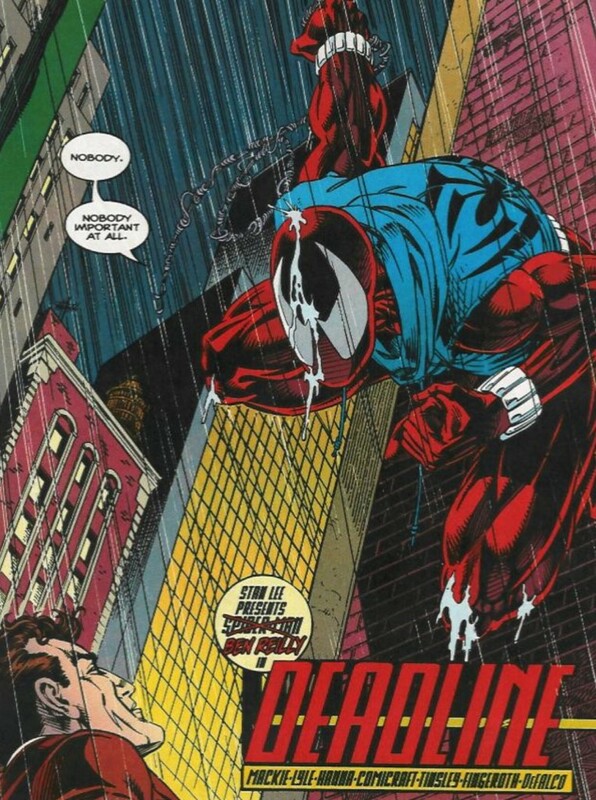 The first is impact webbing, something that’s just really clever and ingenious and would have been useful for Peter as well (and there’s another red flag for those keeping score of who’s who in the “Clone Saga” – how was the clone bright enough to develop such an effective weapon after living in exile for five years?). 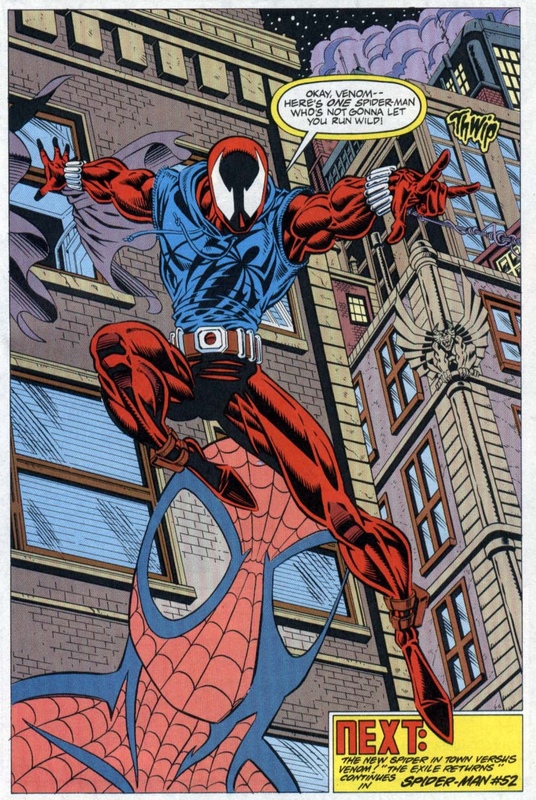 With impact webbing, Ben’s web shooters would eject these little balls that would then burst into webbing upon impact. 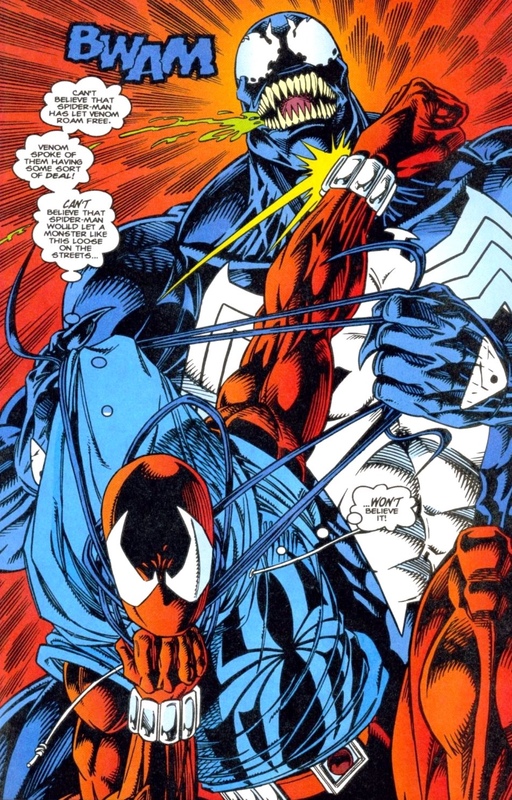 He used the impact webbing to great effect against Venom, shooting a few balls of the stuff into his mouth, and essentially using the weapons to separate the symbiote from Brock. 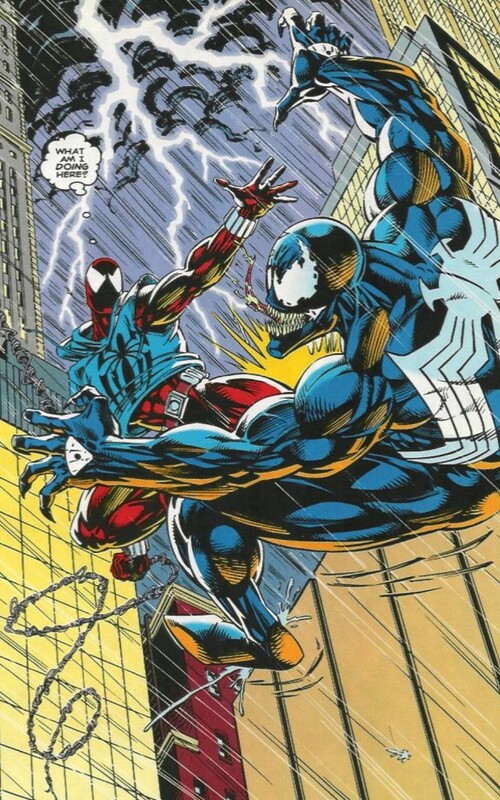 So I guess that all but confirms you dropped MM:USM? Shame, I liked those reviews.